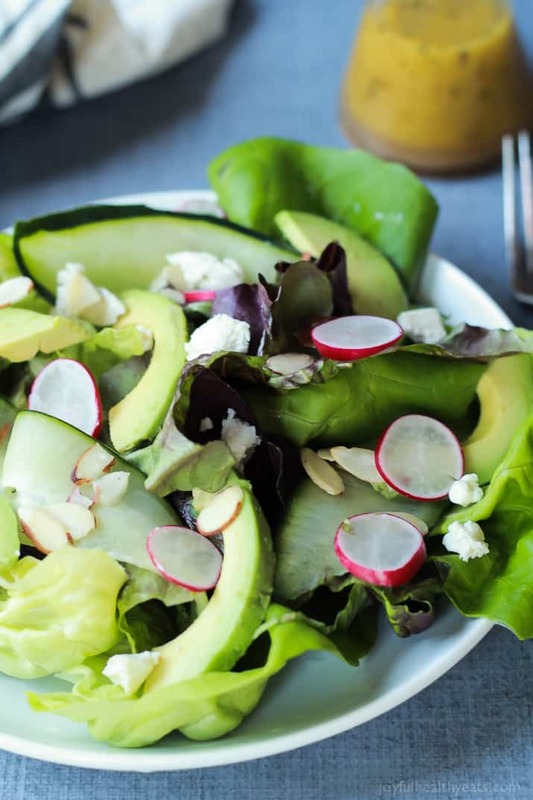 A simple fresh Summer salad that takes 5 minutes – Avocado Butter Lettuce Salad filled with spicy radish, almond slices, goat cheese, and topped with a Lemon Vinaigrette. I am learning that life is about constant surrender… about letting go of the “reigns.” Letting go of control. It’s a hard thing, right!?! Life is just easier when you know whats coming next, when things in life are going good, when it can be controlled. When you know what’s coming it’s easier to protect against heartache. But is it? Heartache hurts no matter what. Planned or unplanned. As I’ve been walking through the struggle of infertility, even that word hurts. When I read it I think… no thats not me.. I’m not in that group. We just haven’t been able to have a baby for two years, I’m not infertile. This was not in my plan. I was “planning” on having babies back to back so we could be in and out of the diaper stage in one swoop, none of this back and forth stuff. I wanted three kids close in age. Well, God has other plans. And I’m learning that I need to surrender my idea of what I thought life would be, what I thought our family would look like. Sometimes his plans are way better than ours, its just hard to see that in the midst of hurt or disappointment. The past two to three weeks have been hard, I’ve found out six friends and/or family members just got pregnant and while the excitement and happiness is there for them, because I know the blessing a child can be. I also can’t help but look and think.. why not me God? What are you waiting for? I’m ready! As I have been working my way through these emotions this weekend I’ve realized a couple of things. God draws us near through times of heartache. I can look back in my life and see those “kiros” moments … moments that propel you forward in life, that changed who you are. All those moments were in a time of deep hardship. God shows us more of who HE is to us in hard times, he draws us close, tells us that he is there, and that we are not alone. Sometimes He makes us wait. You know that saying “the good things in life are worth waiting for”… well its true. I think through the waiting we learn patience and dependence on God. Think about it, if you were given everything you wanted at the exact time you wanted it, what would you need God for? Sometimes he makes us wait to draw us closer to him or to teach us something about ourselves. Even in the Bible, David was told he was going to be King of Israel at a young age but wasn’t anointed right away he waited 15 years. Moses, you know the one that parts the Red Sea and delivers the Israelites from Egypt, he was told that he was going to be “the deliverer of Israel” but he had to wait 40 years before God showed him how and actually do it. God builds our character through the waiting. There is freedom in letting go. As I have let go of my “plans” and embraced the plan God has for us there is freedom. I have literally felt a weight lifted off my shoulder and trust in His perfect plan for us. And to be honest, I wouldn’t change what we are going through for anything. Yes it is extremely hard, but there is joy in it because I have experienced more of who God is … My faithful and loving Father! So my question to you is: Is there something you have been waiting on? A spouse? A baby? A healing? A home? How are you coping with the disappointment or the wait? Is it working for you or hurting you even more? Surrender it. There is freedom! I promise! Hugs to you sweet friends! 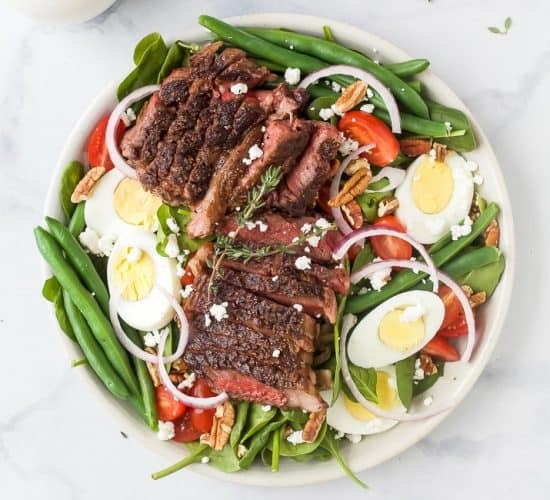 Ok, so with a heavy post I thought I would give you a recipe that is easy to make and easy to digest! 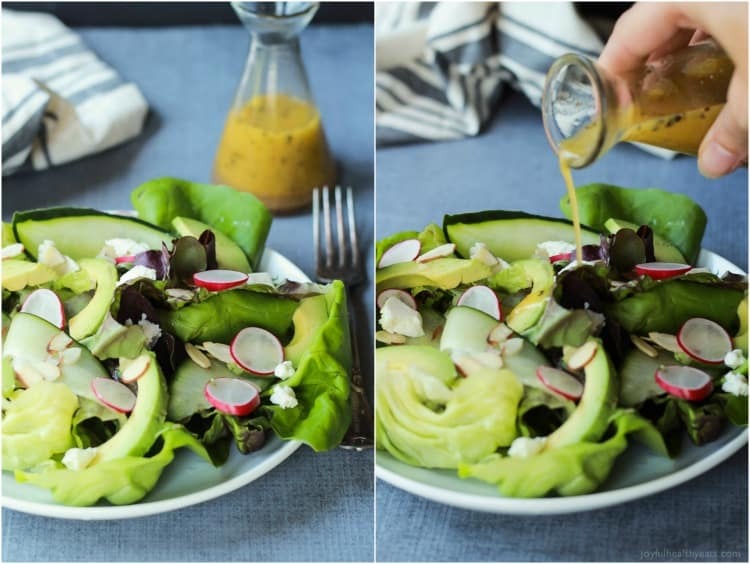 🙂 This Avocado Butter Lettuce Salad can be made in less than 5 minutes but the different flavors and textures will leave you happy for hours! 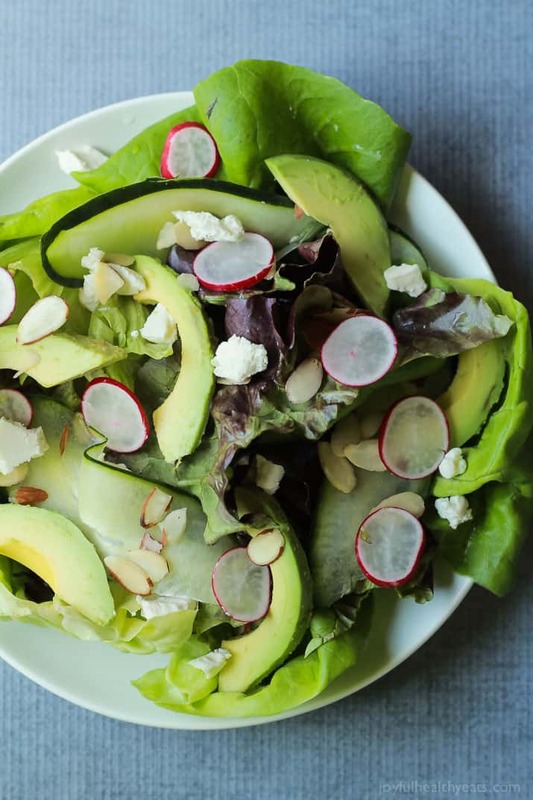 I packed this Salad with two different kinds of lettuce, fresh cucumbers, avocados, sliced almonds, spicy radishes, and a honey goat cheese. 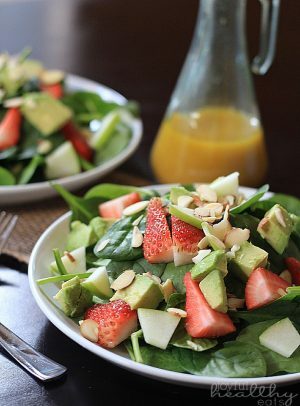 It is super light to eat and such a perfect refreshing salad for summer. 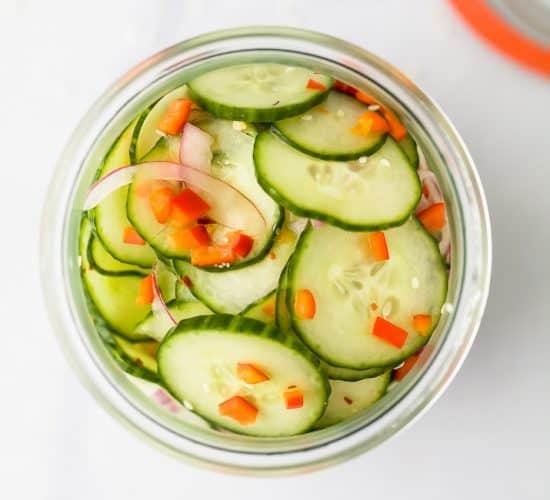 I’ve just started making it for lunches lately and have loved it! 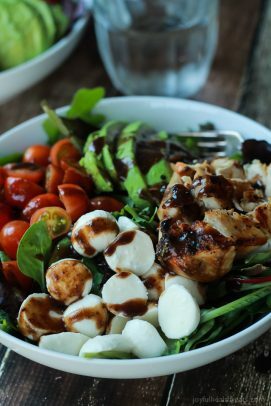 The lemon vinaigrette on top is very basic and light which compliments the salad perfectly! This recipe serves just one, but you could easily double or triple it to serve a crowd. I hope you enjoy it! Bon Appetite! 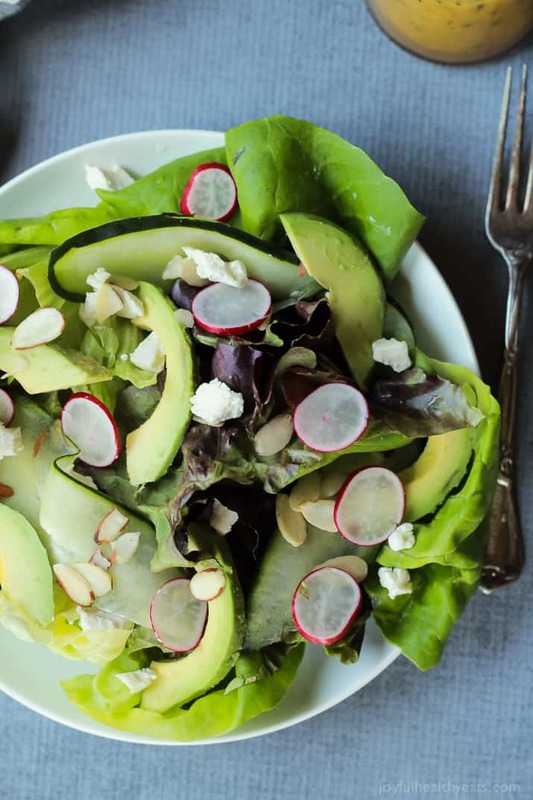 Add butter lettuce, red leaf lettuce, cucumber, avocado, almonds, goat cheese, and radish to a bowl. In a small bowl add lemon juice, olive oil, garlic, red pepper flakes, dry basil, salt, and pepper. Whisk until combined. IF YOU MAKE THIS RECIPE, BE SURE TO SNAP A PIC AND HASHTAG IT#JOYFULHEALTHYEATS. I LOVE SEEING WHAT YOU MAKE! There is so much wisdom that comes from you Krista! When you said that God draws us near through times of heartache.. I was thinking preach girl preach! Sometimes it feels like I am going through that season right now! Girl, I am sorry to hear about your struggle. But hearing your positivity about letting go will make its way up to God. He know’s your dedication to him and he will reward you! Granted, he doesn’t always deliver when we think is the best timing, but his timing is always right. I hate that we question it, but it is our gift to be able to think and question. Unfortunately, we can get ahead of ourselves. I will continue to pray for you! Yes! Love that quote it is so true. I think so much of life is just learning that we are not in control and you know what.. theres freedom in that. We are just along for the ride! 🙂 So glad you understand and are with me on this surrender journey Heather. Thanks for the prayers sweet girl! Hugs! Oh Krista, I needed this post this morning!! I’m not even going to talk about my struggles, since they seem to pale compared to others, but letting go is so dang hard. Big hugs to you for your openness, your faith, and your trust that God’s plan is better than anything we can try to do on our own! This is such a moving post. Without getting into details, I’ll say that I’ve been in a similar situation so I can really relate…sending you hugs and prayers, sweet friend. 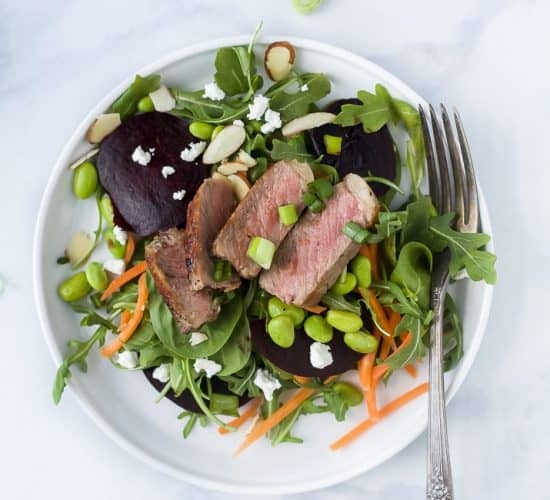 And this salad could not be more perfect – so fresh, bright, and vibrant! Oh… thanks Faith! I think that there is healing in sharing our stories.. sometimes helps us feel like we’re not alone. 🙂 Hugs your way too girl! I love a simple and delicious salad. Can’t wait to try the vinaigrette! Pinned! 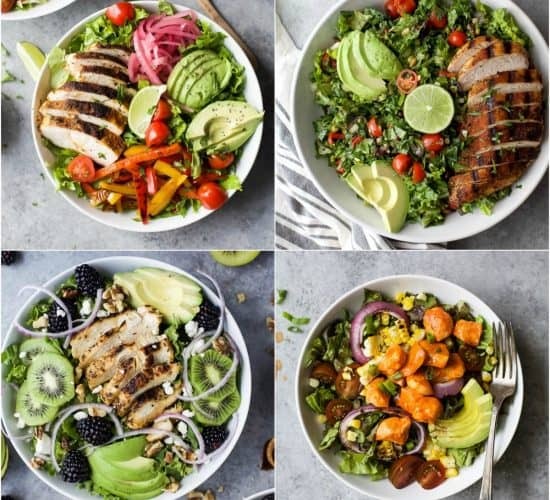 What a perfect salad – so light and fresh. Sending hugs and prayers to you during this struggle. And thank you for sharing what you are going through, so many people are having struggles of their own and it helps to hear your positive message through your own struggle. sometimes there are no comforting words to say, and we must keep hope that our waits and wishes are answered soon – I do hope this for you. meanwhile, this salad looks quite refreshing! 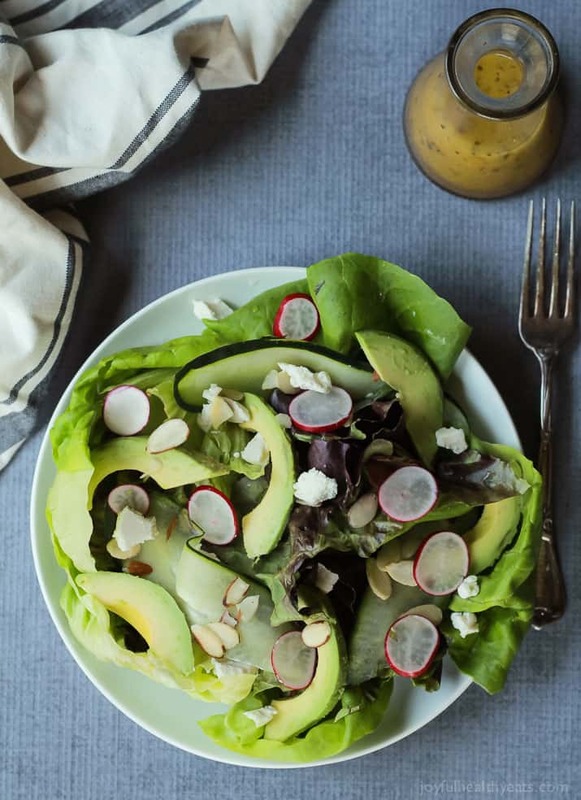 I love butter lettuce and these flavors sound bright and springy! cheers. So so true Kristina! Thank you! 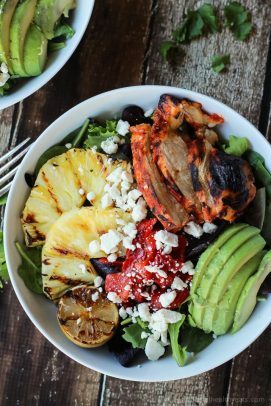 Can’t wait to hear what you think of this salad when you get a chance to make it! God really does decide what is best for you… it just takes time to understand. You’re already wonderful mother to a very amazing boy and I have no doubt you will be a mother again—soon. 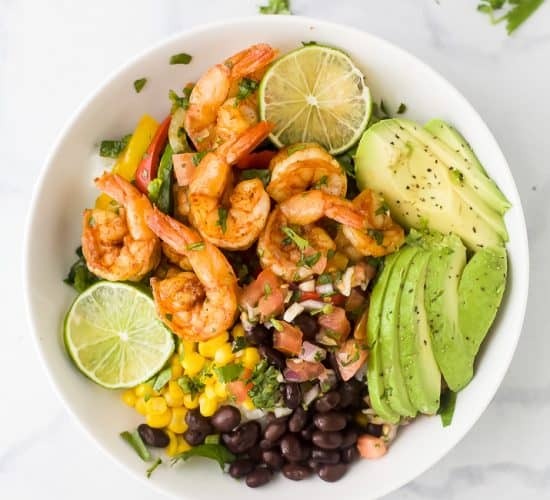 Love this salad loaded with avocado. Sending my love! What a lovely post! I have a good friend who has struggled through this exact thing. Sending prayers your way that God will send you exactly what you need. Thank you so much Amy! I appreciate all the prayers and sweet comments. 🙂 I’ll be praying for your friend! Thank you so much Julie, I appreciate it! Oh.. thanks so much for sharing Val both on social media but also YOUR STORY! Our stories are what unite us, encourage us and give us hope. And yours is definitely a story of hope! Thank you so much! You made my day sweet girl! Hugs! Oh sweet friend. You are so right. It’s not our timing, it’s His. We just need to be patient and draw Him near. We are in the same “boat” with trying to conceive. I don’t want to be in that boat, I want to have a sweet babe in my arms. But it’s not the right time yet. It’s a struggle, but I KNOW He is charge of my path and that gives me hope. Thank you for sharing with us. HUGS! Thank you so much for writing Kelley! I think it’s so freeing when we tell our stories because you never know who else is out there that might be struggling with the same thing. Totally praying for you and your sweet family Kelley! God is good!